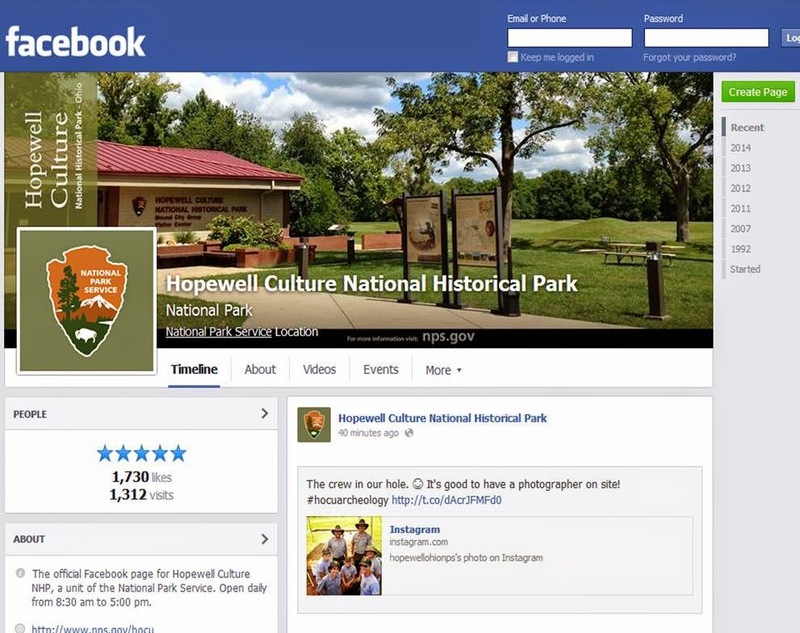 The National Park Service is using social media to give the public a virtual behind-the-scenes tour of on-going archaeology being conducted at Hopewell Culture National Historical Park. 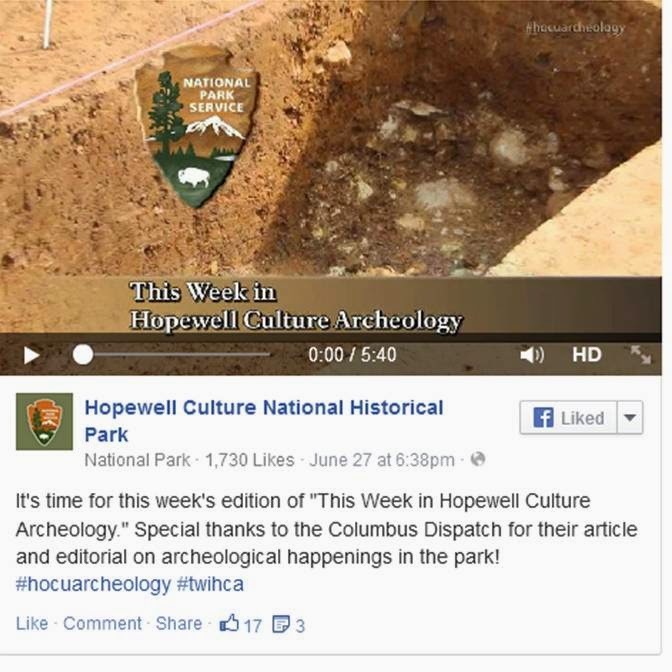 Follow along on the park’s Facebook page as archaeologists excavate a possible woodhenge at the Hopewell Mound Group near Chillicothe. 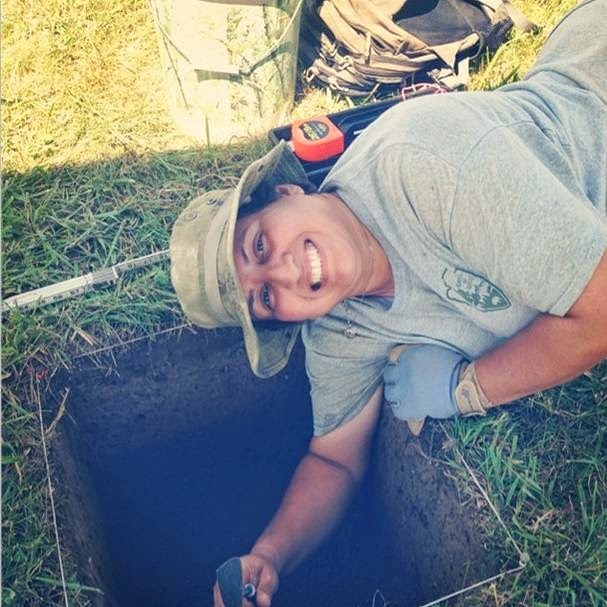 The page is updated daily with photos of the team working to uncover the holes of posts they believe once ringed the entire 375-foot diameter circle. 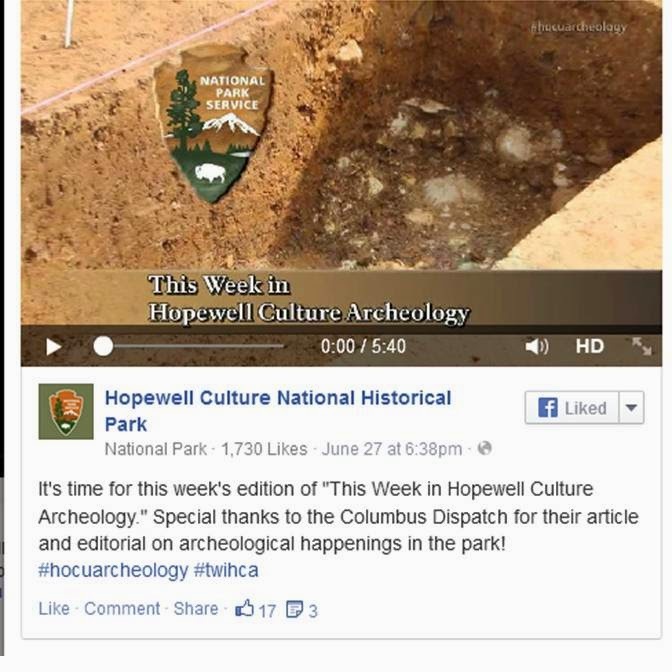 A weekly video posted to the page recaps the week’s work at the site, explaining the techniques archaeologists are employing to learn more about the possible significance of the circle to the people of the Hopewell culture. 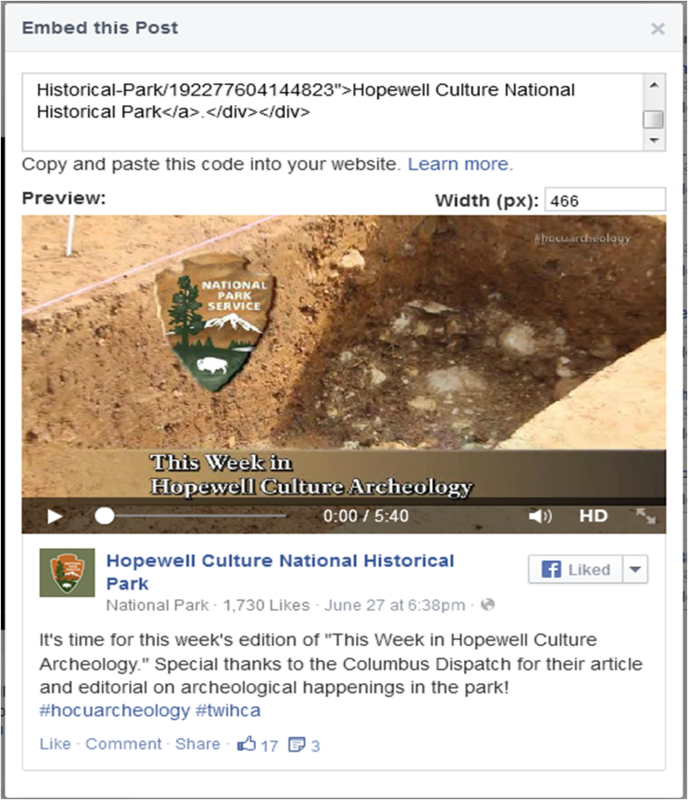 The excavation can also be followed on the park's Twitter account: #hocuarchaeology.